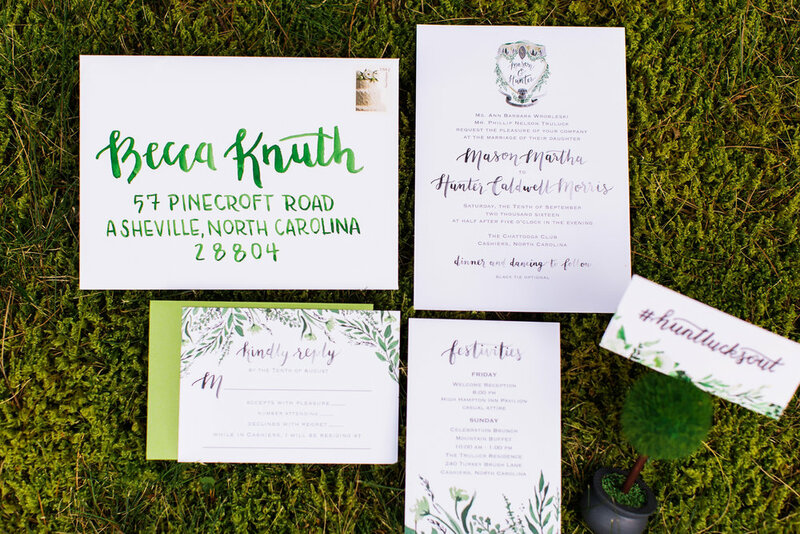 This custom invitation suite was designed for a Sable & Gray Bride, Mason who was married in September, 2016 in western North Carolina. 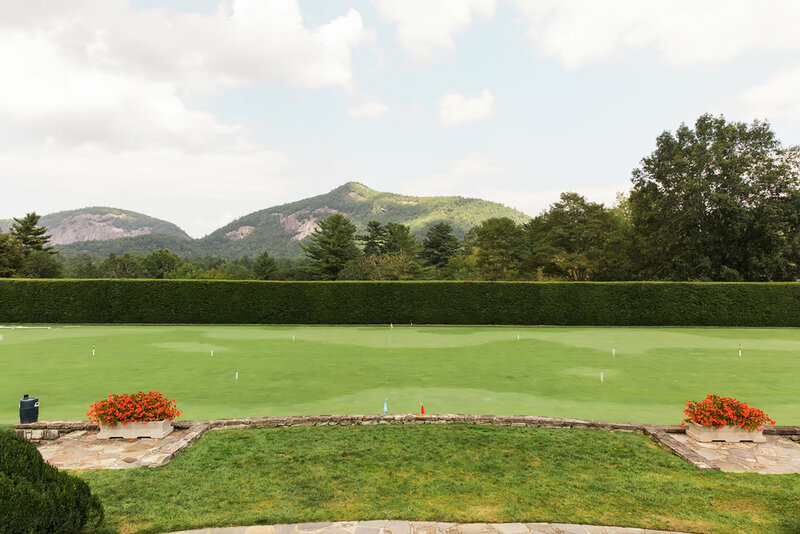 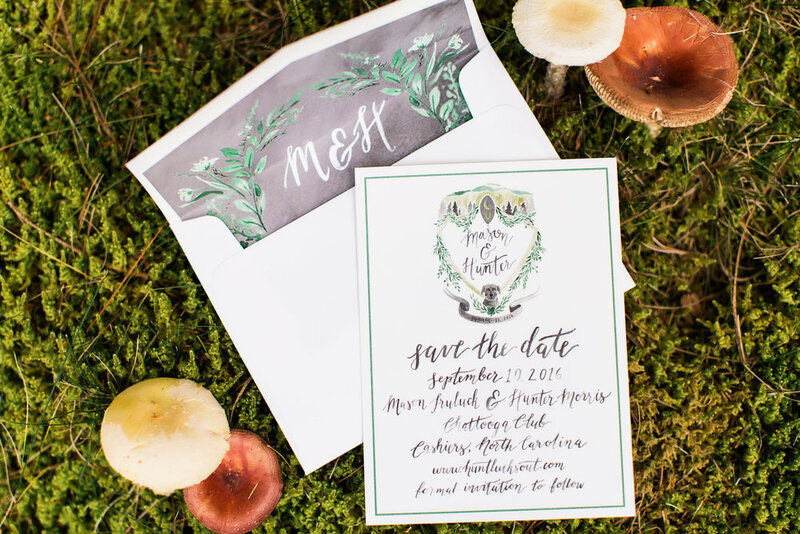 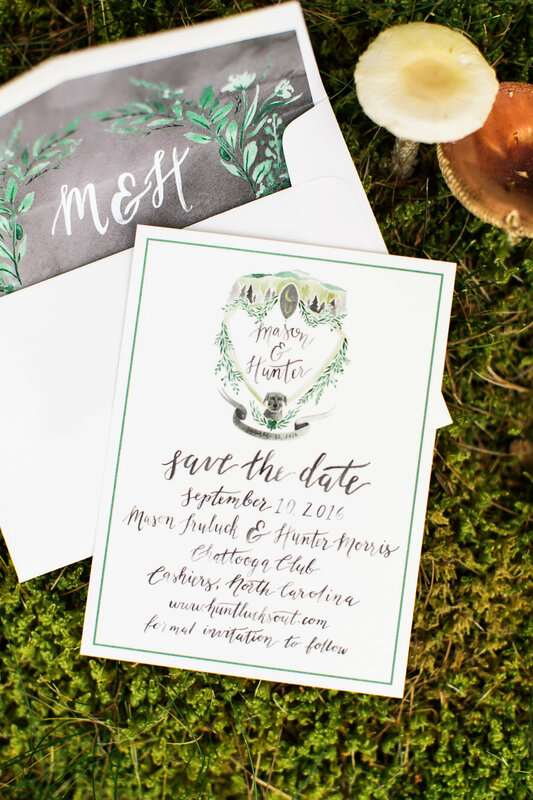 She and her husband, Hunter tied the knot at the beautiful Chattooga Club in Cashiers, North Carolina, surrounded by a lush green golf course and rolling green hills. 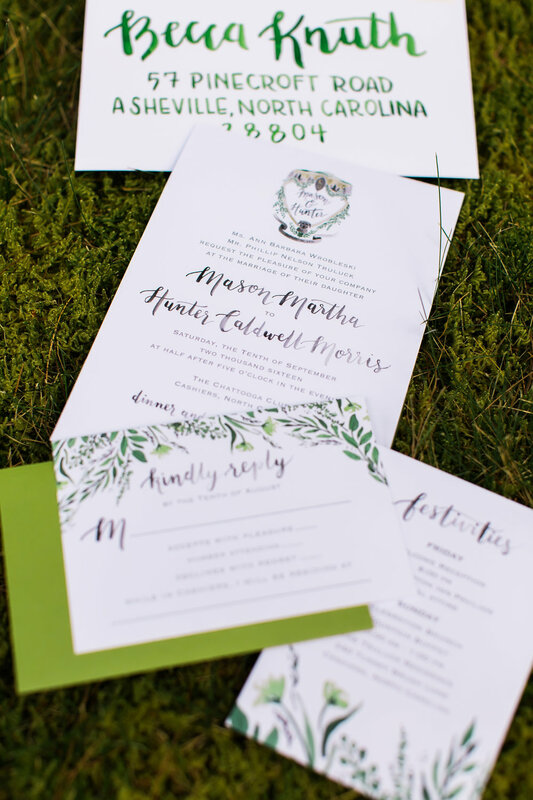 We created a custom wedding crest design for Mason's save-the-dates, and used that crest as inspiration for the rest of her wedding invitation suite, programs, itineraries, and signage. 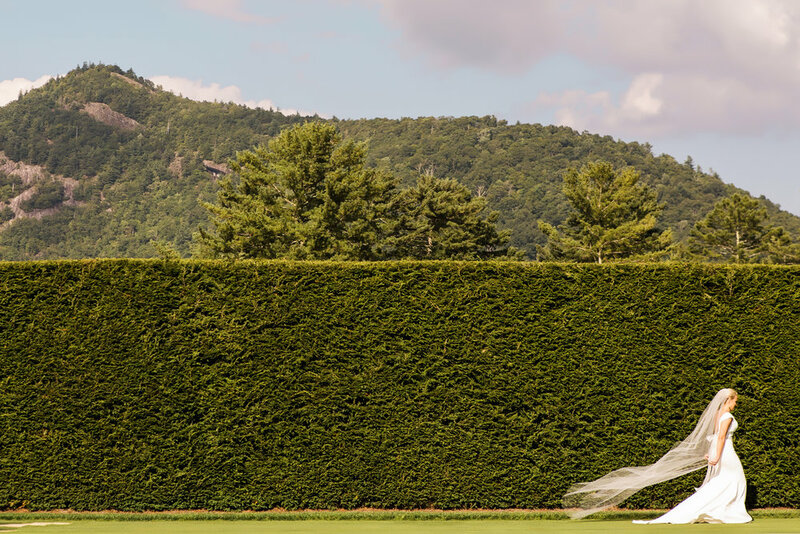 A huge thank you to Vue Photography for the beautiful images.